Today’s students have more specific needs – and more potential for greatness – than ever before. 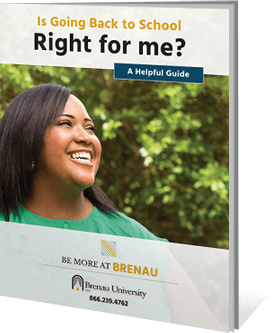 Earning your education endorsement with 100% online coursework from Brenau University can build on your existing skill set as you apply specialized learning in your classroom – or in a new educational career setting. Brenau offers education endorsements to students who have completed a bachelor’s degree at a regionally accredited institution, have a Level 4 teaching certificate and have one or more years of teaching experience. Learn more about education endorsements at Brenau. With an education endorsement, you gain additional qualifications that supplement your bachelor’s degree and teaching license. This gives you a valuable competitive advantage as your career moves forward, whether you wish to continue as a classroom teacher or pursue another education-related career. How does an education endorsement supplement your teaching degree? Endorsements enhance your teaching as you focus on specific principles within the discipline. This hyper-targeted learning makes sure that you’re covering the latest and most relevant topics. The accelerated format of an endorsement allows you to complete it by taking just 3 courses, and the investment you make shows current and prospective employers your commitment to building your competencies. Advancing as a teacher or seeking a different education career may require different training from what you received in your degree. An education endorsement can help you get the latest training without earning another college degree.